Lucy Wakeford, one of the most outstanding harpists of her generation, studied with Daphne Boden and Marisa Robles at the Royal College of Music and with Gerard Devos in Paris and Skaila Kanga in London. During her studies, Lucy won top prizes at numerous national and international competitions including first prize at the 1996 Charpentier Competition held in Paris; first prize at the 1991 World Harp Festival Competition held in Cardiff; and second prize at the 1988 Tenth International Harp Competition in Israel. Appointed principal of the Philharmonia Orchestra in 2002, Lucy is much in demand as a soloist, recitalist and ensemble player. She has performed at major venues and festivals throughout Europe, appearing as guest artist with musicians including Roger Vignoles, John Mark Ainsley, Michael Chance, James Galway and the Belcea Quartet. She regularly gives concerts with the Erard Trio, and the Haffner Wind and Zenith Ensembles. 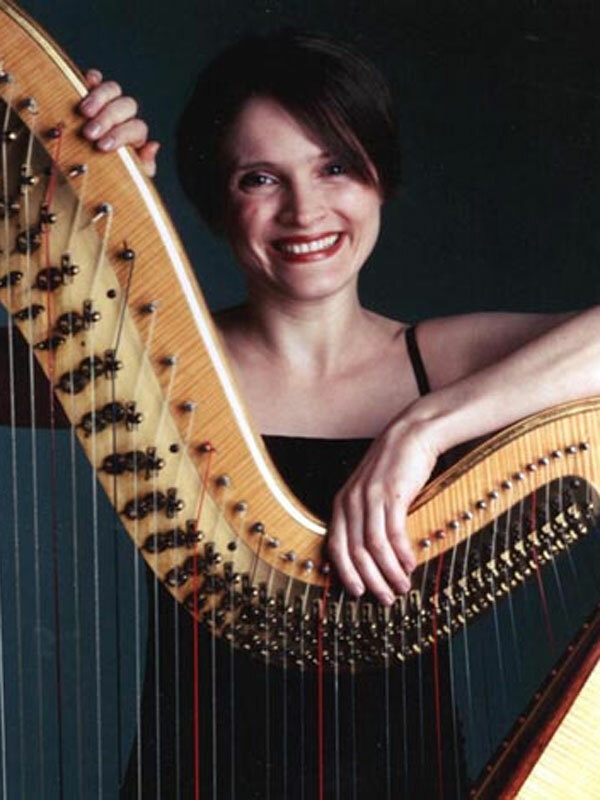 She is principal harp of Britten Sinfonia and harpist of the Nash Ensemble. Lucy’s appearances as a soloist include concertos performed with the London Symphony Orchestra, Royal Philharmonic Orchestra, Academy of St Martin-in-the-Fields, Bournemouth Symphony Orchestra, Israel Philharmonic Orchestra, Guildhall String Ensemble, Ulster Orchestra, City of London Sinfonia, London Festival Orchestra and BBC Concert Orchestra. Amongst her recordings are Ravel’s Introduction and Allegro with the Adderbury Ensemble, the Mozart Concerto for Flute & Harp with the Britten Sinfonia and Dohnanyi’s Concertino with the English Sinfonia.